The NF now provides Level 1 and Level 2 Deacon training. 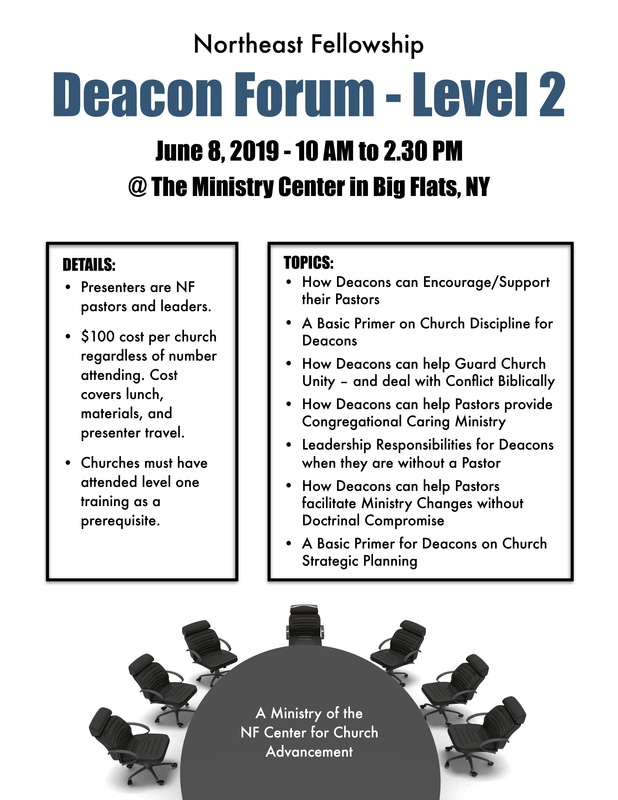 Annual deacon forums are presented to provide basic training for church leaders (pastors, along with their deacons, are encouraged to attend). They are usually scheduled for Saturdays – from 10am to 2pm – and lunch is provided. Click on the links to download the registration and poster. 2019 Deacon Forum 1 Registration. 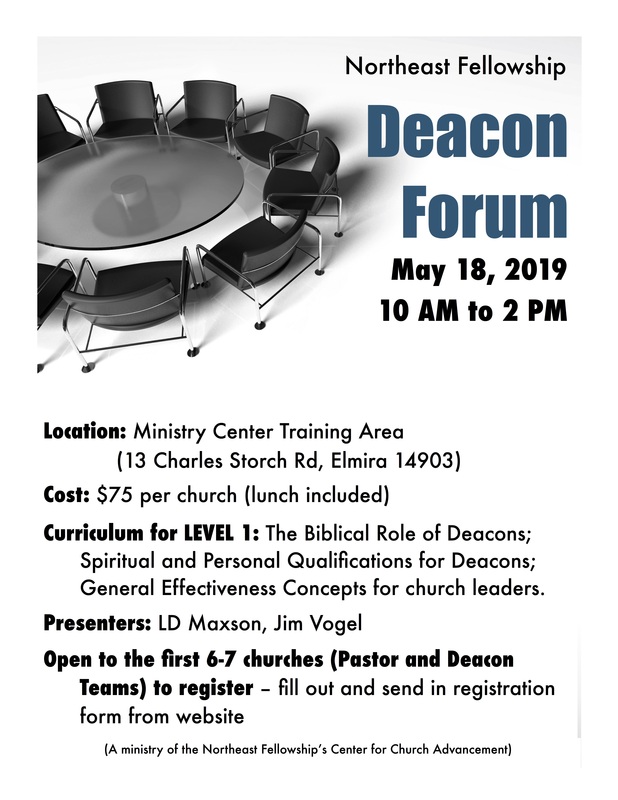 2019 Deacon Forum 2 Registration.